This itinerary takes you to explore the unadorned beauty of the northeast of Brazil. A true treat for all your senses, you’ll discover the heart of the country’s Afro-Brazilian heritage in Salvador da Bahia, soak up awe-inspiring panoramas and mysterious caves of the Chapada Diamantina National Park and, relax on the secluded, heavenly beaches of Morro de São Paulo. Our local specialists and tour guides have designed and dialed in all the secret stops that any local would approve of. Wake up in your charming hotel in the equally as alluring town of Lençóis and get ready for a full day of adventure in the Chapada Diamantina National Park. Head to the center of the National Park's 'Cave Capital' and begin exploring with your guide the cavernous rooms standing in the shadow of towering stalactites and under stunning stalagmites. Enjoy a delicious and traditional lunch of the region before the adventure continues as you visit the crystal-clear Blue Cave that is simply breath-taking. Hike up to the top of the Morro do Pai Inacio Mountain for a picture-perfect view of Chapada Diamantina National Park's table-top mountains and valleys before being treated to an awe-inspiring sunset. Explore the vibrant atmosphere and elegant restaurants of Lençóis before taking an after dinner stroll through the town's quaint cobblestone streets. Following a full day of activity in the National Park, it's time to relax at your boutique hotel and dream about what tomorrow and another unforgettable day has in store for you. Our tours depart any day of the year, there are no fixed departure dates. It’s really simply, we’ve designed some of the best experiences that cover your “bucket list” must see stuff in each destination. You can trust in our 20 years of experience, that everything will run just like clockwork. Historical city tour: Pelourinho, Barra’s lighthouse & fort, and more. Take the 236ft. ride up the Lacerda Elevator for stunning sunset views over the city. Known as the Capital of Joy, explore Salvador’s African cuisine & music. Your authentic highlights city tour includes the heart of the city at Pelourinho, the Barra lighthouse and fort and, the Nossa Senhora do Rosario dos Pretos Church. Taking just 30 seconds, travel 236ft. up the beautifully restored, art deco Elevador Lacerda for spectacular sunset and city views from its summit. Discover Salvador’s vibrant nightlife with its delicious fusion of Afro-Brazilian food and music. Go deep into Chapada Diamantina’s impressive caves and underground rivers. Watch the sunset on the panoramic plateaus from the top of Pai Inácio Mountain. Swim in the secluded paradise under the Fumaça and Riachinho Waterfalls. Lençóis is a charming town with cobbled streets, colorful colonial buildings and vibrant cafes and restaurants, however, the real draw and attraction of this region are the Chapada Diamantina National Park. With stunning limestone caves to explore, underground rivers that glisten blue, magnificent canyons that stretch on for miles and waterfalls equivalent to 112-story buildings; it is no wonder that travelers tend to want to extend their stay in this adventure-filled and stunning region of Brazil. Admire Salvador’s 17th- and 18th-century architecture & gold-laden churches. Tonight watch the hypnotizing beauty of capoeira in the main plazas of Salvador. Optional activities Cachoeira tour, Praia do Forte & Tamar Project & more. Having experienced Salvador on the first day, you’ll be able to explore the heritage, culture, and atmosphere of the city on your on your own. From sitting in a street café watching the world go by and walking through the city’s narrow streets and plazas to taking in the sights, smells and sounds of the country’s Afro-Brazilian gem; you won’t be able to help yourself but get swept away, yet again, by the energy of this stunning city. Beach hop down Ilha Tinhare’s coast… Quarta Praia Beach is our favorite! Visit the Tapirandú Fortress, one of largest forts in Brazil. 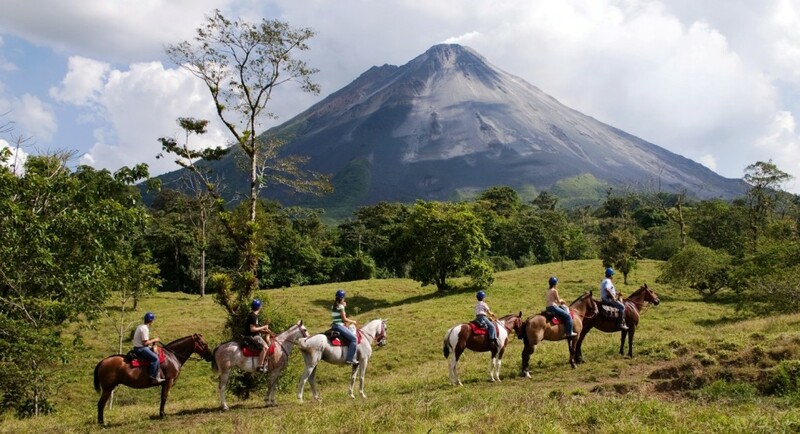 Optional activities horseback riding, Boipeba Island & more. Tinhare Island has miles upon miles of stunning beaches which become progressively longer and quieter the further away you go from Morro de São Paulo. Quarta Praia Beach is the fourth beach along the coast and is known for its crystal-clear water, colorful marine life, and coral reefs. With no cars allowed on the island, you can enjoy watching the sunset in peace and quiet with a fresh and fruity cocktail in the beautiful town of Morro de São Paulo. We have over 20 years experience building relationships with a short list of some of the best hotels and guides in Central & South America, from 7 regional offices in Latin America. Let us know your travel dates and destination preferences, and we’ll match you with YOUR PERFECT Latin America experience. Your tour can depart on any day of the year, the group tours are more economical and based on a price estimate below including simple “Classic” bed & breakfast accommodations, these hotels can be upgraded upon request. Each day you will join to meet new travelers at each destination, and a highly specialized guide for every excursion. Individuals traveling alone will not be sharing accommodation or transfers, and should expect a 30-40% increase in the per person price. All prices online are based on 2 people traveling together, discounts available if you are more than 2 traveling together. Class Adventure Travel gets you the best Latin America has to offer!